The following article is a paid collaboration with Wild, Wonderful West Virginia. The other-worldly underground formations in Lost World Caverns have some history that is… interesting, to say the least. 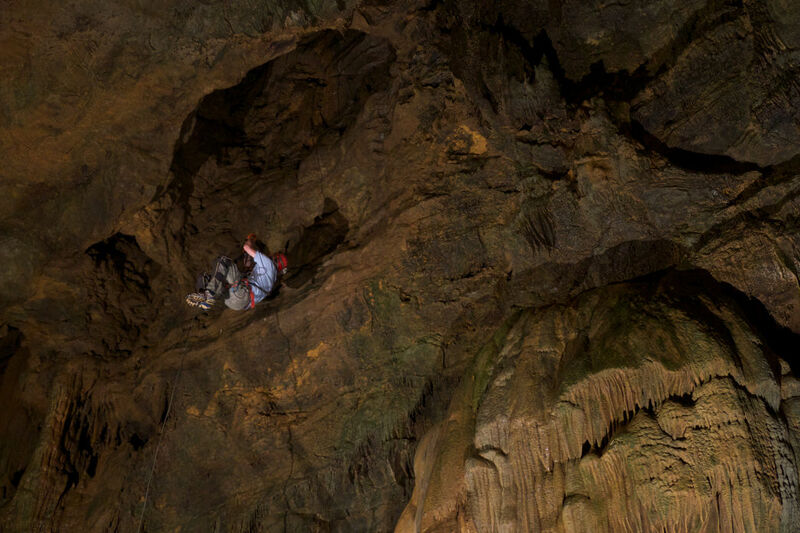 Sitting 120 feet below the earth’s surface, Lost World Caverns was first discovered in 1942. But it wasn’t until surveying in the 1960s, that anyone found the incredible interior formations and waterfalls. What’s come to light about the Lost World Caverns since then has been nothing short of marvelous. 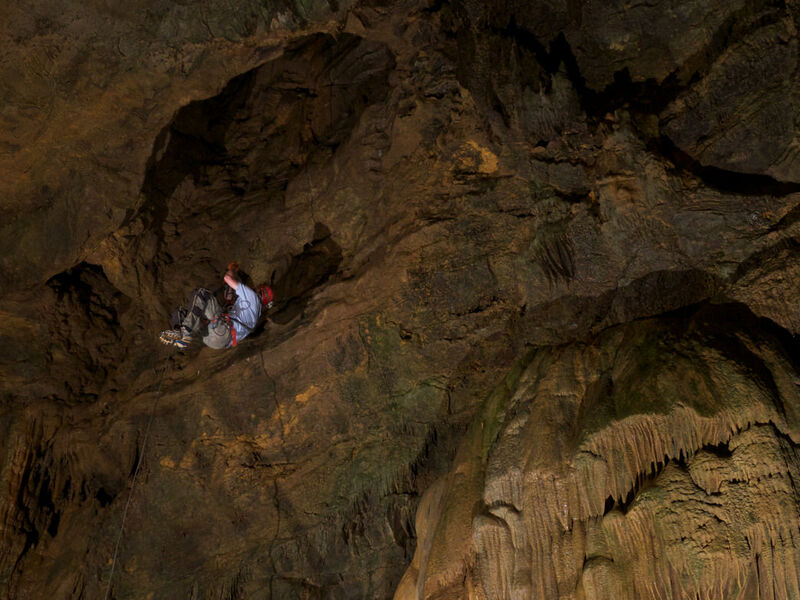 If you’ve got a penchant for prehistoric fossils and tabloid horror stories, or you can’t get enough of a good world record, Lost World Caverns will surprisingly satisfy any of these quirky interests. The fossils of a short-snouted, prehistoric cave bear called Arctodus pristinus were discovered in the Lost World Caverns. Scientists think this massive creature (a close relative of the Arctodus simus, one of the largest known mammalian carnivores that have existed on earth) went extinct during a period of global cooling that likely began around 10,900 BC. These bears weighed about one ton, stood around 8-10 feet high on their hind legs, and are thought to have inhabited a large area stretching all the way from present-day Texas to New Jersey and as far south as Aguascalientes, Mexico. Go spelunking in these caves, and you’ll roam the same places that ancient bears used to. It’ll be quite the trip! "No one’s challenged my record yet," Bob Addis told the Charleston Gazette-Mail in 2012. In 1971, he nabbed the unofficial world title for the “longest time sitting on top of a stalagmite” (pedestal-like formations that rise from the bottom of caves over time, thanks to calcium salt deposits). He was crowned the king of stalagmite sitting after spending exactly 15 days, 22 hours and 34 minutes on top of the 28-foot-tall War Club stalagmite in the Lost World Caverns. Addis ended up in the caverns when he was in town for a National Speleological Society convention. 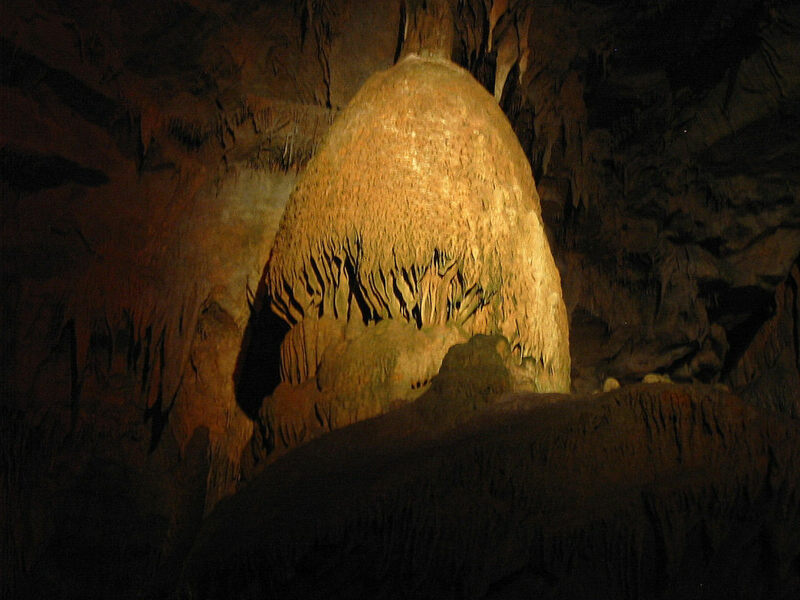 He was offered a management position at the caverns along with his friend Bob Lieberman, and the two arrived at the idea for the stunt when they were coming up with ways to boost the cave’s revenue at the end of the season. You can still see the world-record-bearing stalagmite, but you can’t just walk in and go for the title yourself! You can only touch one rock formation in the cave. In 1992, the Weekly World News, a tabloid that facetiously dubs itself "the world's only reliable news," ran a story with the headline “Bat Child Found in Cave,” referring to the Lost World Caverns in West Virginia. The tabloid supposedly discovered (by means unknown) a half-human, half-bat living in the caves. After their discovery, agents from the paper claim to have followed him along an epic escape as he eluded authorities and the FBI, eventually managing to escape in a stolen Mini Cooper after a chase across three states. Whether you believe in Bat Boy or not, Bat Boy has taken on a force of its own, making his way into a bobblehead and onto the front of t-shirts— even becoming the inspiration for an off-Broadway musical of the same name. The musical about Bat Boy, who supposedly subsisted by eating only bugs for years (he was raised by bats, after all), premiered at the Union Square Theatre in New York City in 2001 and went on to show in London and Edinburgh, Scotland, among other places. Fun fact: the cave’s owner, Steve Silverberg, donated the helmets, carabiners and other caving equipment to the productions. 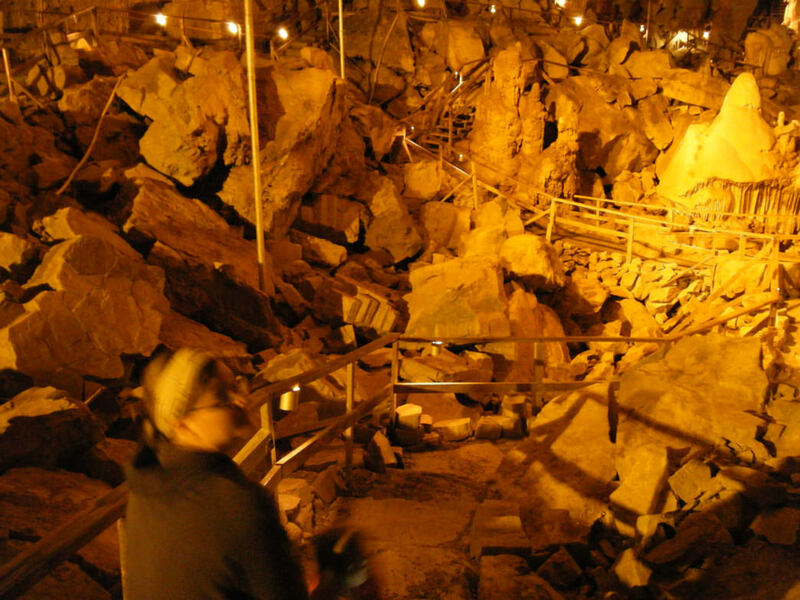 Discover more mysteries in Lost World Caverns. Originally written for West Virginia . Need Motivation For Your Mountain Run? How ‘Bout a Drink? Have You Played America's First-Ever Golf Course?